Alpe d’Huez (1,860-3330m) is a sizeable, modern resort known for its sunny, extensive terrain and spectacular views across the Southern Alps. 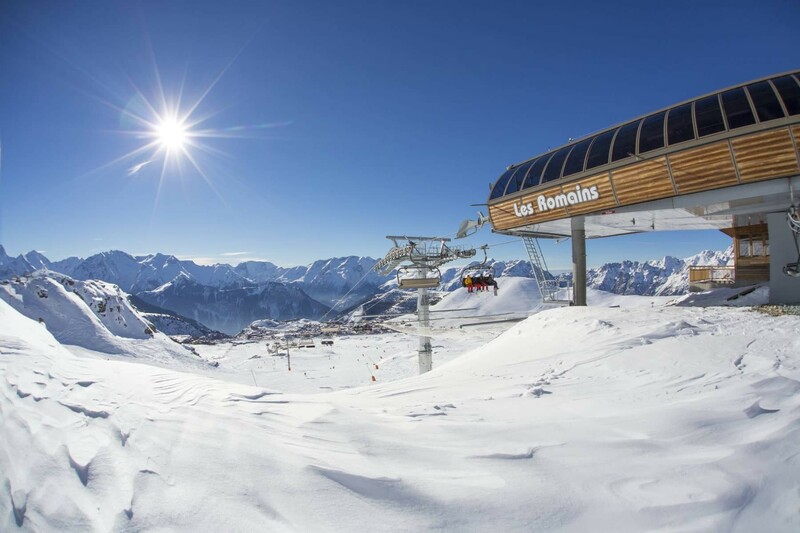 The efficient lift system whisks you up to the vast, high-altitude ski area of the Alpe d’Huez Grand Domain Ski (250km) with its wide choice of varied runs, well-suited to all levels. Alpe d’Huez is one of the liveliest resorts in the French Alps, but is divided into separate quarters, so you can often find yourself far away from the centre (Avenue des Jeux). A good tip is to stay in the prettier, more rustic village of Vaujany, which is linked to Alpe d’Huez by chairlift. Families are particularly fond of Alpe d’Huez for its friendly, laid-back atmosphere and wide choice of accommodation – apartments, chalets, hotels and B&Bs. The ski area is comprised of five ski resorts and two traditional mountain villages: Alpe d’Huez, Auris-en-Oisans, La Garde, Le Freney d’Oisans, Oz-en-Oisans, Vaujany and Villard-Reculas.